As the techology facilitator at a PYP school, I am constantly on the look out for engaging apps that enhance learning and don’t just replace what students could do with physical materials and tools. I spent a lot of time in the first few weeks learning about the play-based Reggio Emilia approach at our PYP school. To best support this model, I continue to work with the teachers and students in-class as much as possible to see first hand how tech and iPads can enhance learning for young students. 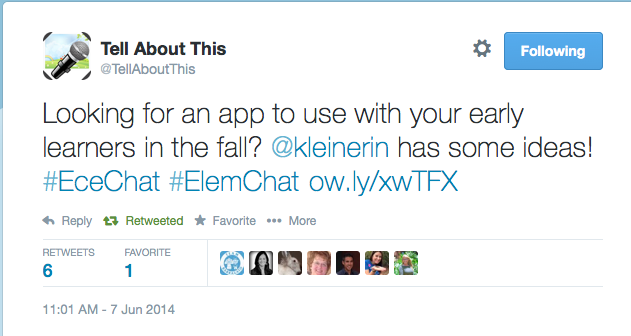 In the first week of school, while scrolling #ecechat on Twitter, I came across a tweet about an app called Tell About This . After quickly researching it, I knew this documentation tool would fit well with the play-based environment of our school’s curriculum and I couldn’t wait to share it with Early Years and Kindergarten teachers! 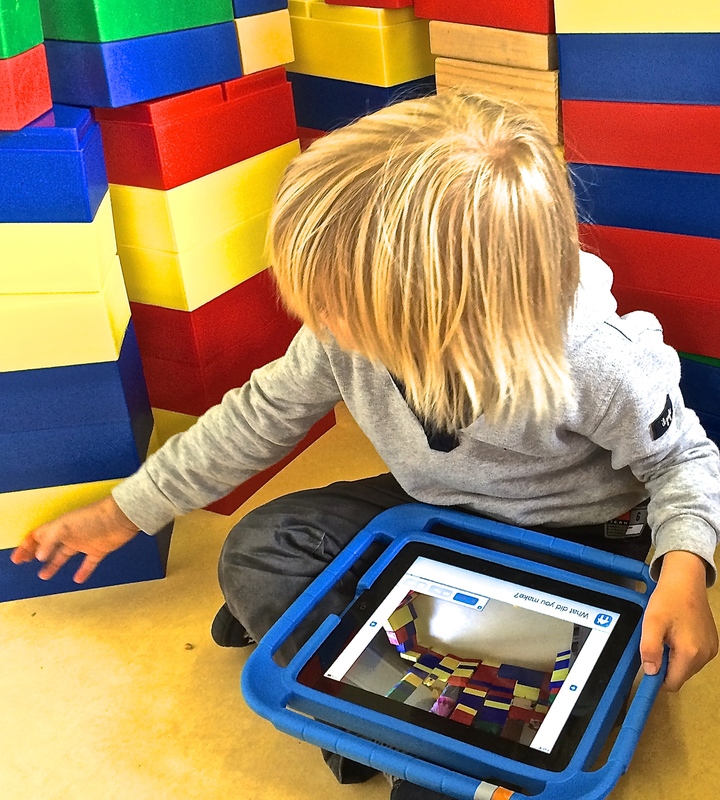 We’d been searching for ways to integrate the iPads in a meaningful way that would be age-appropriate for 3-5 year olds while also supporting the Reggio Emilia exploratory approach to learning. As soon as I shared the app with the Early Years and Kindergarten teams, they were thrilled at the possibilities for digitizing and enhancing documentation. 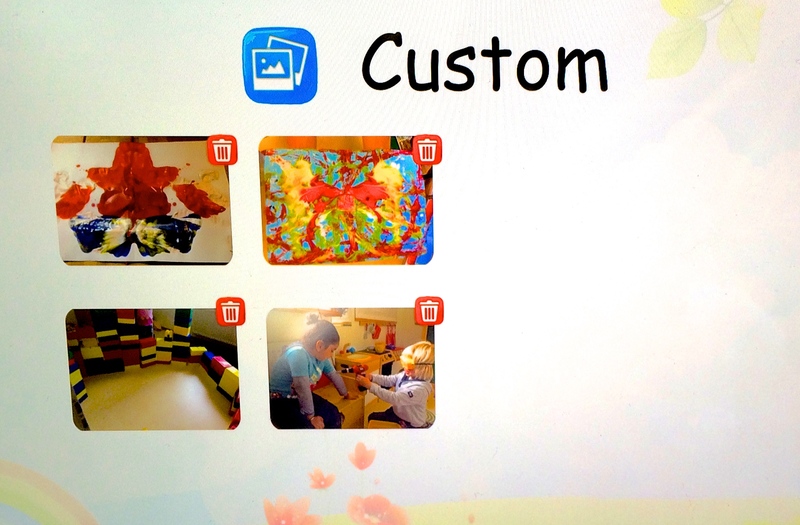 The ‘Customize’ option and student ‘Profiles’ organizes documentation and enables them to personalize the prompts and tailor to specific play-based experiences. 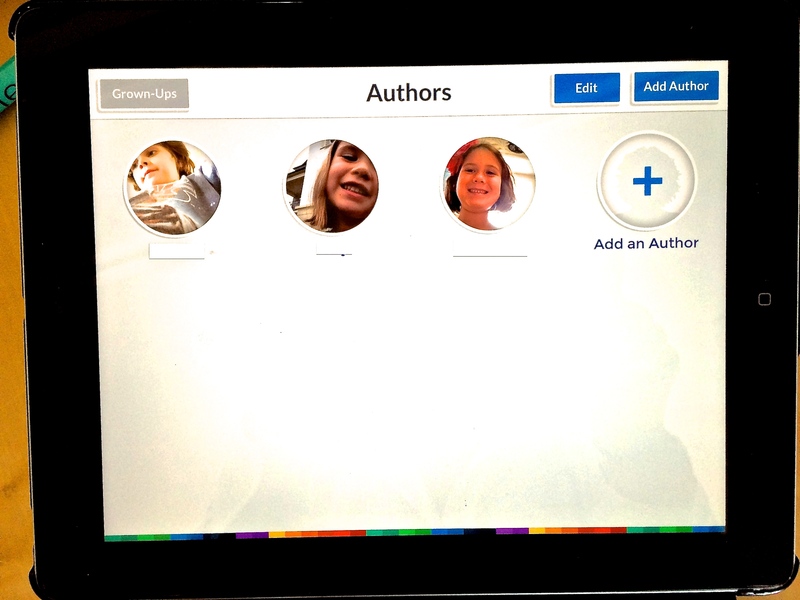 Furthermore, storing the photos in student profiles also simplifies the organization for teachers who are sharing iPads. 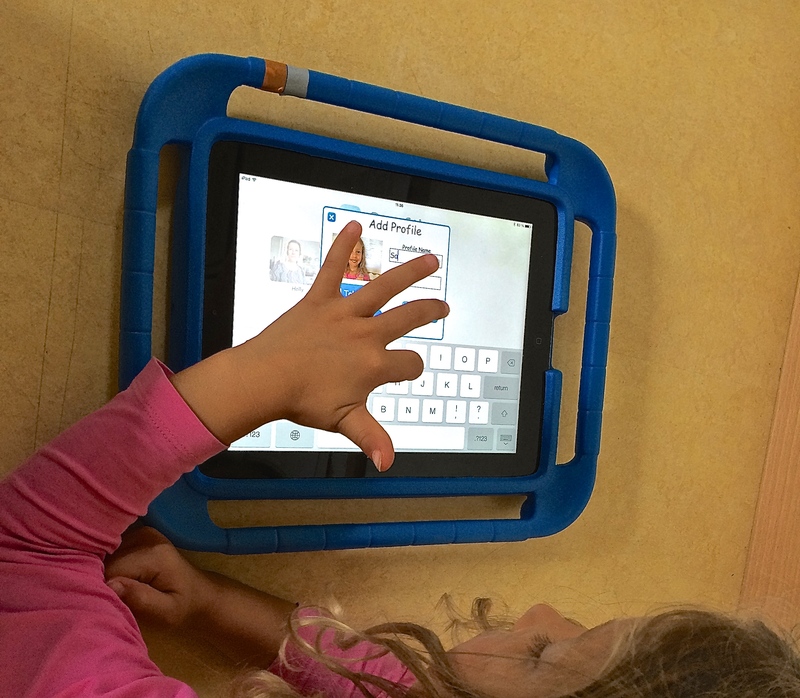 Currently, each classroom in EY-KG has access to 2 iPads. Using the ’email’ option in the app or uploading the recordnings to Google Drive are two efficient ways teachers could quickly store and share the students recordings. uploaded to the camera roll and then to Google Drive. rather than focus solely on the picture on the iPad. In Early Years 1, we used the app to have students reflect on their field trip to the pumpkin patch. Students chose their own photo and then (with guidance) shared what they saw in the picture and what happened on that day. 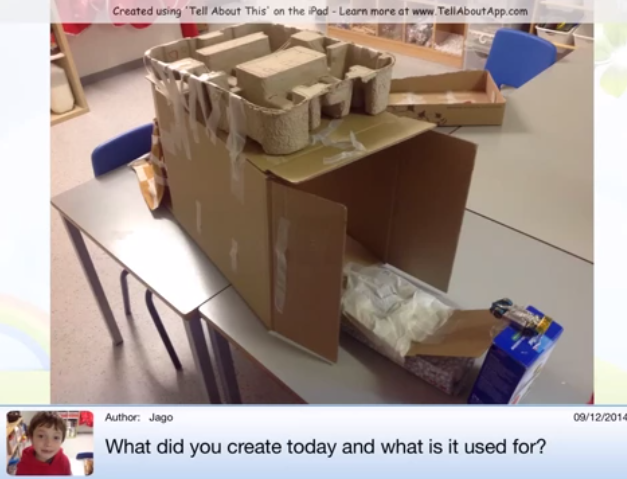 In Early Years 2, students chose something they created that day and talked about it using the Tell About This app. This varied from block constructions to artwork. The teachers have also considered possibly capturing scenarios where students were in conflict and using the app as a prompt to have them discuss what was happening. In Kindergarten, both the teacher and I documented student creations in the Art Studio as they happened. Capturing their thoughts immediately after the finished or while they were working provided authentic thoughts and feelings about the work they were doing. Students were also very engaged and eager to share what they made, while it was happening. After working with one Early Years class the teacher shared the finished Tell Abouts with the students. They were all very excited to hear each other speaking! The teachers were also happy to have these prompts easily documented and stored for them to refer back to at Parent Teacher Conferences. In this photo, one student notices the jars of coloured water in the classroom and makes a connection between his classmate’s Tell About This recording, and the jars in the corner. The teacher and students engage in a discussion about the coloured water and what’s inside them. 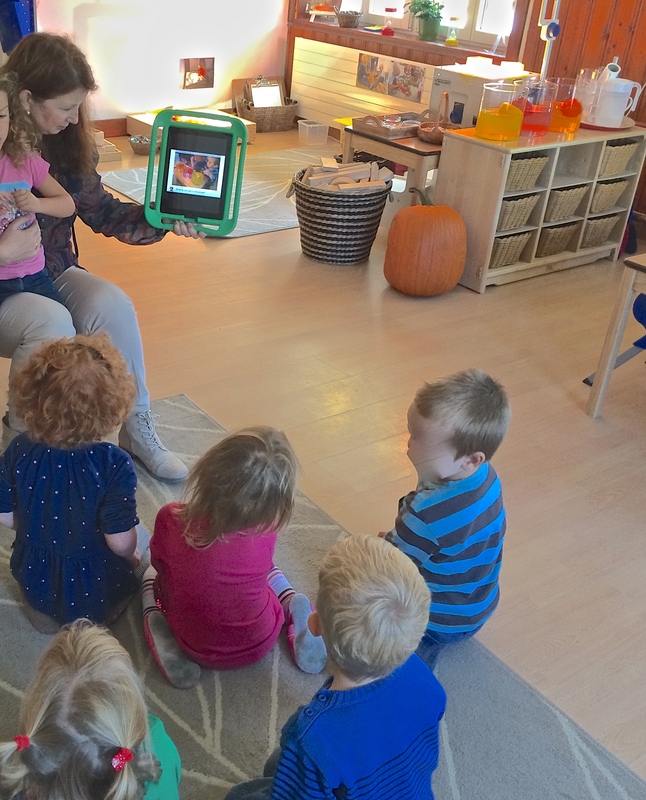 Although we are still exploring how best to use Tell About This, it’s very clear that this app will be a valuable tool in the Early Years and Kindergarten. It was easy for teachers to figure out on their own and teachers are appreciative of its simple interface and the ease of creating prompts for their students. The most time-consuming component is creating the profiles of students, and this can quickly be remedied by snapping photos in advance and creating profiles at a time when students are not in the room. We did notice the recordings were clearer in sound if the children were removed slightly from the group and we will continue to try alternative ways of minimizing background noise (moving outside the classroom or using a microphone/headset). The prompts are easy to create on the spot which is invaluable in a play-based classroom with many activities happening at once and children moving from one to the next. As a PYP school, teachers feel this app supports the Viewing & Presenting strands of language arts as it allows children to reflect on their creations and discuss visual texts. 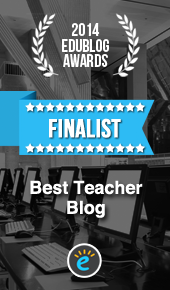 Looking ahead, teachers are interested in using the tool primarily for documentation and building a portfolio of oral student reflections over the course of the year.